It’s been a little while since I’ve written some new hidden Lightroom tips. These tips are not aimed at the advanced or newbie user as they’re tips I’ve been told about, they’re not the kind of thing you would pick up exploring the software. These new tips include things like the magic of Match Total Exposures, revealing what area you have a selected with an Adjustment Brush, making fine adjustments with touching sliders and more. If you find these tips handy check out my other Lightroom articles which includes other tip articles here. You may or may not of noticed that Instagram is one of the only web services that you can not post clickable web links to, I assume Instagram put in this restriction to stop spammy posts which is great but it does not help you if you’re trying to pimp something that your followers will be legitimately interested in. This is something I recently thought about when I was giving a joint talk with my wife Rockcakes on the subject of Esty SEO for the Brighton Etsy team. 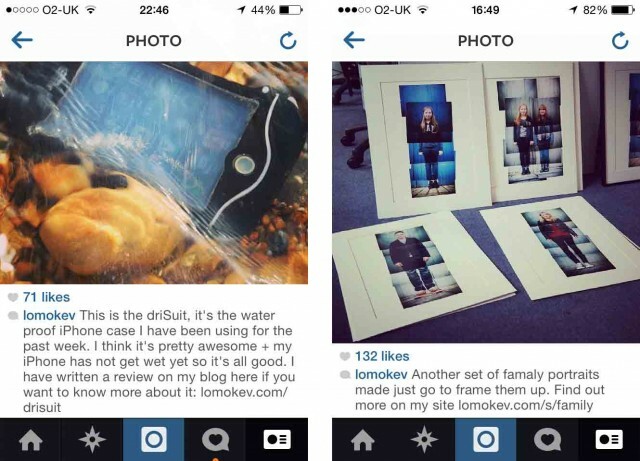 It’s a common thing for Etsy makers to post Instagram images of their making exploits, it’s a shame they can’t link to where there items can be found online. 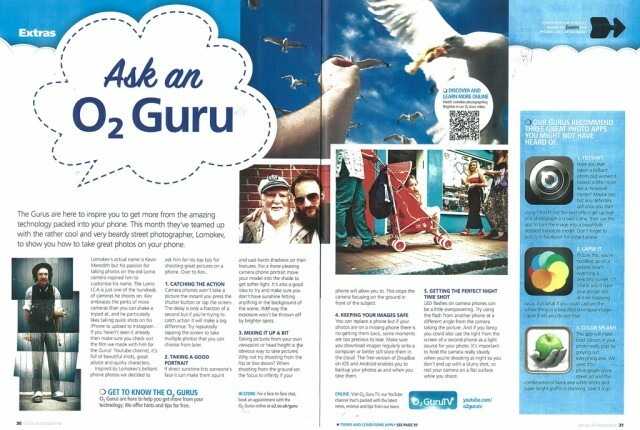 This is an unabridged version of an article of phone photography tips I wrote for an in store magazine distributed by O2 in the UK. It came off the back of the video I made with O2 in 2012. I thought I would post it now before it goes out of date. I don’t really take photos on my phone anymore, even though I am an avid Instagram user (i’m @lomokev) I’ve been shooting with the Samsung NX 300 (review) and Olympus OM-D E-M1 (review) that I can wirelessly transfer photos to smart phone for easy posting, wireless transfer is becoming a more common on newer cameras. I have also been taking it one step further with the Android powered Samsung Galaxy NX which you can post directly to the internet (review coming soon). This is a follow up post to my 5 Lightroom tips that I wrote a year and half ago. Lightroom is pretty intuitive for the most part but there are few things that are not so obvious. Every time I discover something that I can’t believe I did not know about I will always make a note of it so I can write about it later. If there is something you think I missed leave a comment below. I have been doing a lot of public speaking recently and am about to give my first talk in London on the 14th March which is odd as I have spoken all across the UK and given a few talks in the US, but this will be my first in London. 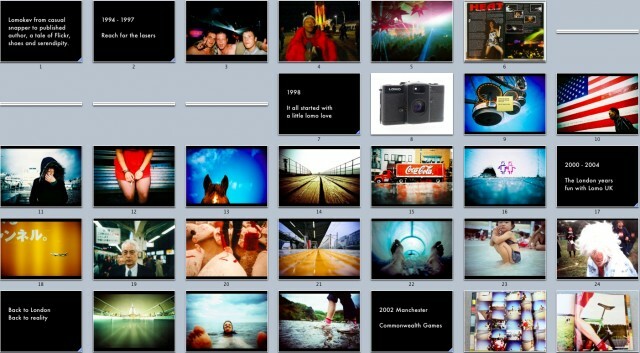 I also have put together quite a few presentations for MiniClick at short notice, so I am a dab hand at Keynote as well. Because of this I feel I have gained experience with public speaking to the point where I can offer advice to others who are about to get up in front of a crowd. Some of the advice in this tutorial is geared towards Apple’s Keynote. Keynote is Apple’s version of PowerPoint, if you have Mac and don’t have Keynote, get it now as it’s only £13.99. This is not a Keynote tutorial so if you are PC-using-PowerPoint fan, the information in this post will still be relevant to you. 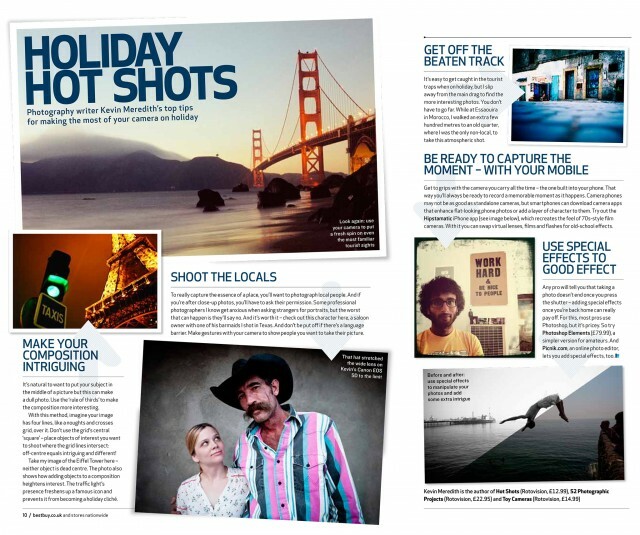 I was originally commissioned to write this article by UK Best Buy for its magazine last summer. If you did not know Best Buy is huge electrical retailer in the US that was briefly in the UK. Soon after I was commissioned to write this piece they closed all the UK stores. I thought that I would let this article see the light of day again on my blog. If you find this article interesting you should check out my instructional photography books and my photography courses – I have dates coming up in Brighton and Munich. 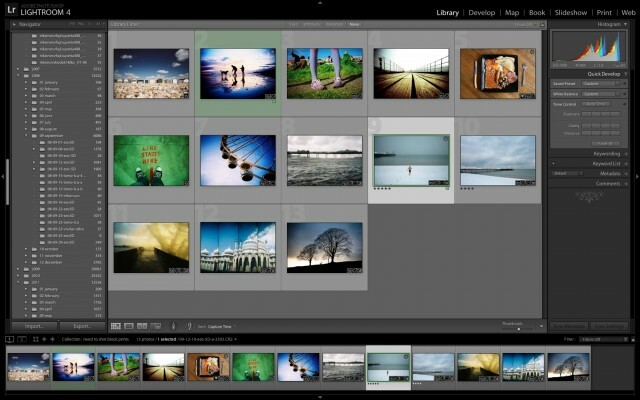 Update November 2012: Since writing these tips Lightroom 5 has been realised and I am happy to say all the tips below still work in Lightroom 5 and 4. The next two paragraphs might not be that relevant anymore so to get to the tips just click here. 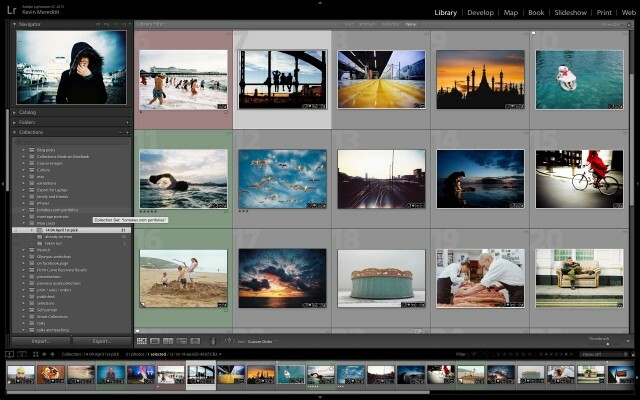 Lightroom is Adobe’s flagship photo processing and organizing tool which celebrated its 5th birthday in February 2012 (I am a little late in posting this!). What better way can there be to celebrate this other than giving you my five top Lightroom tips? I started using it when it was version 1 with a G4 Power Book in April 2007. Its use is widespread amongst photographers now and I know fewer and fewer people using alternatives. I for one can’t image working without it. I don’t start up Photoshop anymore unless I want to combine two or more images or move things around in an image. 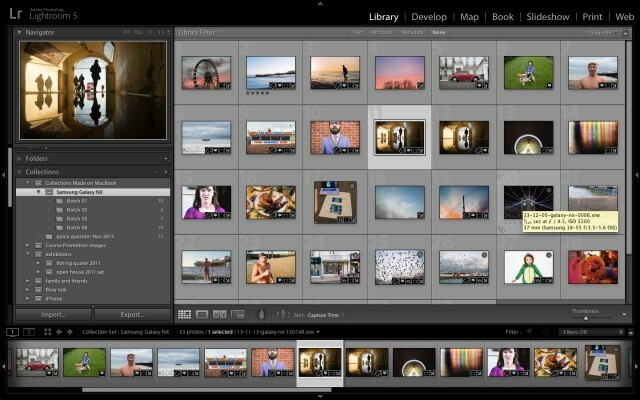 Lightroom 4 was released in March 2012 and one of the hottest features was the price drop. It’s now just £99 for the full version and £59 for the upgrade. I am pretty sure that when I got version 1 it was £250 or more. It’s one of the only things I really try and push on people that take my photography course is to get this software as it will make you life so much easier. You learn something new everyday: I’m no press photogapher! I have been shooting with the Canon Eos system for over tens years. Some of the controls on the Eos Canon system have remained pretty much the same since I have had one, my 1st was the 50e from 1996. This is why what I did last week was really stupid beyond belief. I often think that I would love to be caught up in a major event just so I could record it with my camera. Last week this sort of happened, turned out it was not as major as it looked. It all started when a fleet of 12 police vehicles pulled up outside my office and then an army of police officers jumped out. 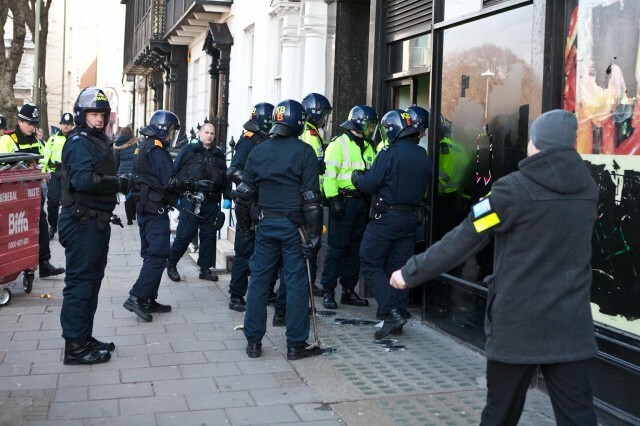 They were in full riot gear complete with battering rams and crowbars. I instinctively picked up my camera and headed for the door to join the throng of police offices as they headed to the doors of the old Taj supermarket.